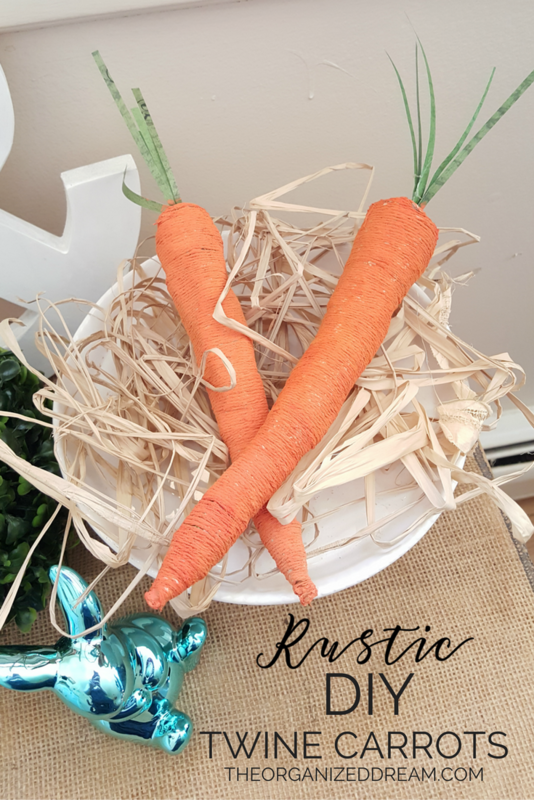 If you love that rustic look and cannot wait to start crafting for spring, I have an awesome project for you! 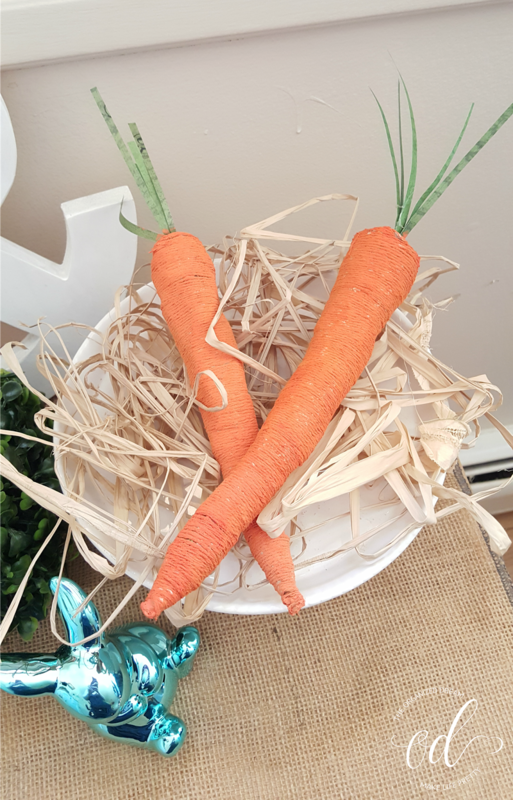 I came across a similar idea on Pinterest and thought that creating these twine carrots would add some pizzazz to my rather sparse spring and Easter decor collection. They're pretty simple to make although take a little time. You only need basic tools for this craft and that's why I liked it so much because I already had everything I needed to make them. Start by twisting the newspaper into a cone shape (wider on one side than the other).Tuck in the wider side so that all of the paper sticking out now forms a rounded end. Use tape to hold the paper in shape. Cut small strips of paper to create the leaves at the top. Tape them together. Insert into the larger end and glue in place. Both of my carrots were different sizes so the smaller carrot had smaller leaves. You can make them as long as you want. Start at one end and wrap the twine around the newspaper form close and tight enough so that the newspaper and tape cannot be seen. I started from the smaller end because I found that it was a lot easier. 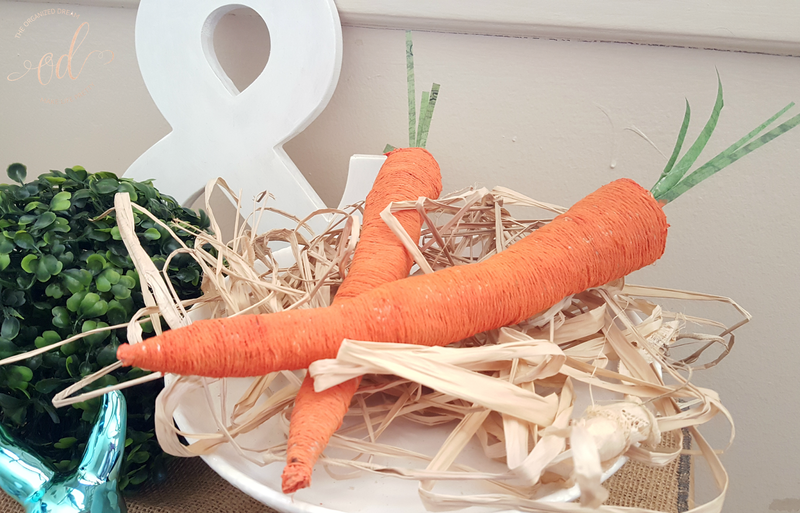 Use a glue gun (or glue) to adhere the end of the twine to the carrot form. Paint the carrot with craft paint. 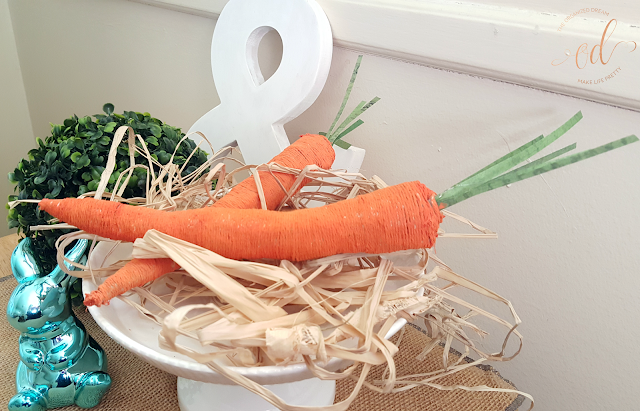 You can skip this step if you prefer your carrots to stay a neutral color or use orange twine. I've always wanted to make some of these because they are so cute for Easter. 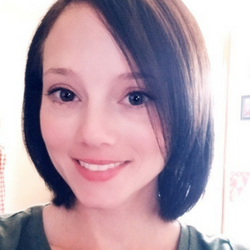 Thanks for sharing the how-to! 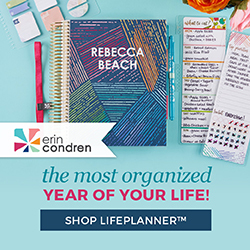 Pinned to share :) Have a great week and thanks so much for linking up and sharing your posts with us on Brag About It! The thin twine you used would take forever to wrap around the newspaper but I think its worth it. The texture of these carrots is spot on. Pinning to my Easter board. These are really cute to have laying around the house. These are too cute! I love easy holiday crafts. They're always my fave. The kids and I are totally going to make these for Easter! Those look so much like real carrots! Cute idea!